Algeria's outgoing President Abdelaziz Bouteflika on Wednesday asked for forgiveness from his compatriots in a letter praising the progress made over the last 20 years in the country. Algeria's constitutional court formalised the ailing leader's departure following a wave of popular protests calling for him to step down. “Now that I have ended my fourth term, I leave office with the collaboration we have had together, with dedication and selflessness,” said Bouteflika in a letter published by Algeria's state news agency. “The error being human, I beg your pardon for any failure, by word or gesture, towards you,” he added. Bouteflika appeared on television on Tuesday night handing his resignation letter to the head of the country's constitutional council. Weeks of demonstrations had prompted Bouteflika to announce that he would not seek a fifth term in office and then earlier this week said he would not stay in office beyond 28 April. 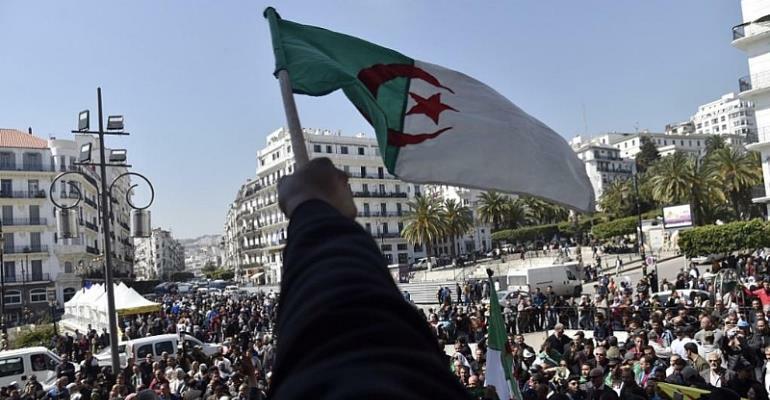 “I welcome the remarkable progress made in all fields in favour of the Algerian people, who have done me the honor of being their president for twenty years,” said the 82-year-old leader. Abdelkader Bensalah, the 77-year-old president of Algeria's upper house of parliament, is expected to take charge as interim leader of the country, according to the constitution. Protesters are expected to take to the streets again on Friday calling for other key figures to leave the government, according to reports. Some demonstrators want to see the end of the so-called, “three Bs” - Prime Minister Noureddine Bedoui, Tayeb Belaiz, head of the constitutional council and Abdelkader Bensalah, who has been slated to become interim president.